Originally a small mixed agricultural and fishing settlement in the pre-war years, Tsuen Wan grew into a significant industrial area from the late 1940s, and was further transformed by the construction of the Mass Transit Railway in the 1980s. 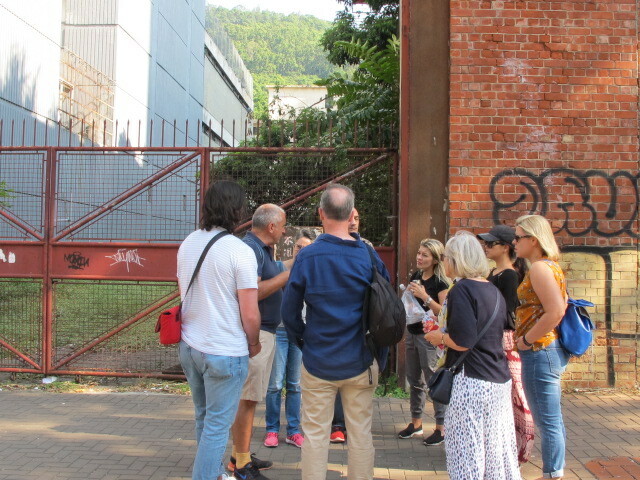 A surprising amount of pre-urban “village” Tsuen Wan still remains; much has been attractively conserved, and selected remnants will be explored on this walk. Likewise, enduring links to earlier industrial times – in particular Hong Kong’s once-important textile industry - can still be seen, and this industry’s evolution and decline will be discussed and evaluated. The walk will conclude with an optional, self-pay, early supper at one of the renowned roast goose restaurants at nearby Sham Tseng. Those having supper will take a minibus from Tsuen Wan MTR after the walk ends to the restaurant. Details on where to meet for the walk will be sent to you once your booking and payment is received. Please note this walk is not suitable for children under the age of 15 and is not suitable for dogs.